Price Is For EACH PAIR Of These Old, Steel Hinges, With A Little Bit Darker Steel Tone Than Seen In Photo; [sorry about photo flash]. Appx. 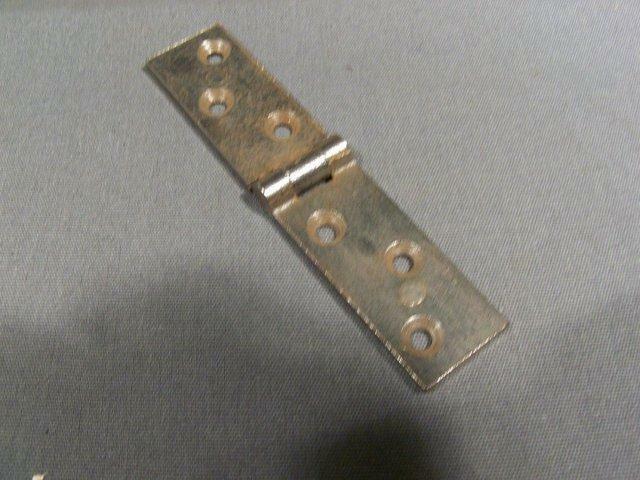 3 3/4" Long X Slightly Over 3/4" Wide; Hinges Are A Little Under 1/8" Thick. 12 Pairs Available. Purchaser Pays Shipping.